The M9 Beretta was announced as the replacement for the M1911A1 (Colt .45) as the U.S. military's standard sidearm on 14 January 1985. The M9 is a semiautomatic, magazine-fed, recoil-operated, double action pistol, chambered for the NATO 9mm cartridge. The service pistol is a close personal defense weapon. M9 Military Model. 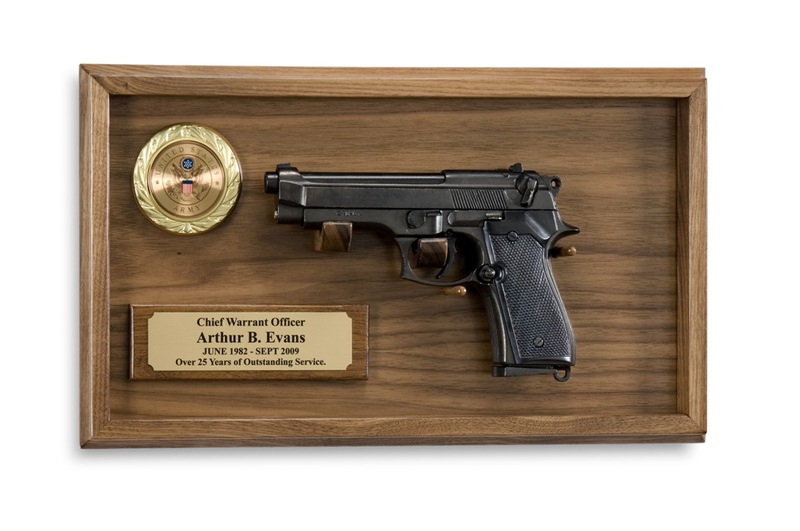 This non-firing replica model is the type of gun chosen by the U.S. Armed Forces to replace the .45 automatic. This pistol feels like the real thing with authentic size, all metal detailing, and functional mechanism.